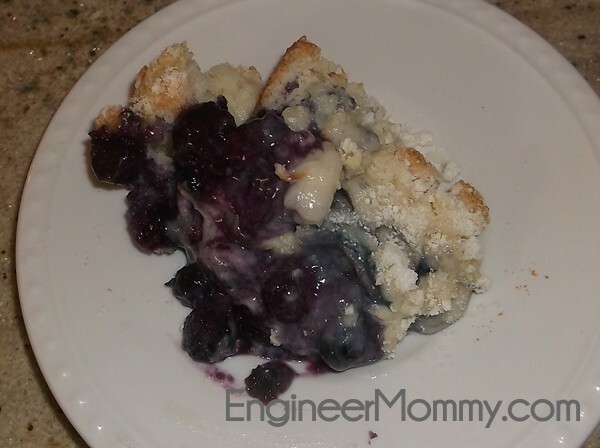 This recipe for blueberry cake batter cobbler was invented one day when I was trying to use up some ingredients around the kitchen – frozen blueberries and white cake mix. I didn’t really know what or how I was going to incorporate the ingredients into a delicious recipe, but I improvised and the final product is probably the best tasting dessert I ever made. And that’s saying a whole lot! Let’s get to the recipe now, shall we? Pour the frozen blueberries into a lightly-greased round cake pan. 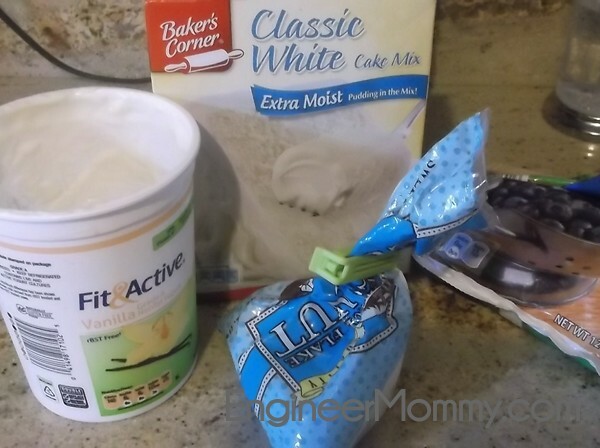 In a mixing bowl, combine the cake mix, yogurt and oil. The final texture of this batter should be very crumbly – not smooth and homogeneous like a traditional cake batter. Add 1 tbsp. of the coconut to the batter. Pour the batter over the frozen blueberries and smooth out slightly, but leave some differences in height. 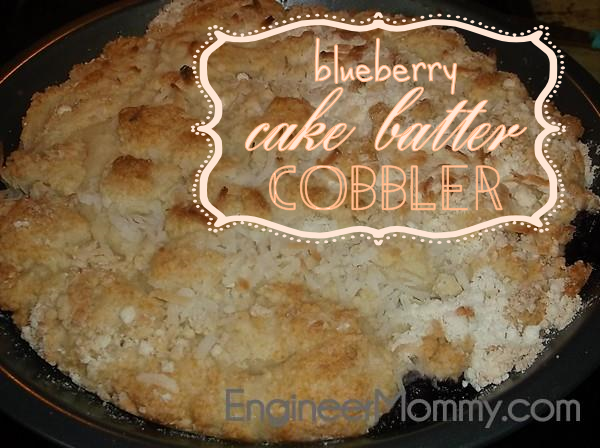 This is what will make the final product look like a cobbler. Top with the remaining coconut flakes. Looks really simple and easy!